Clay Aiken – Six Pounds Of Confetti ! 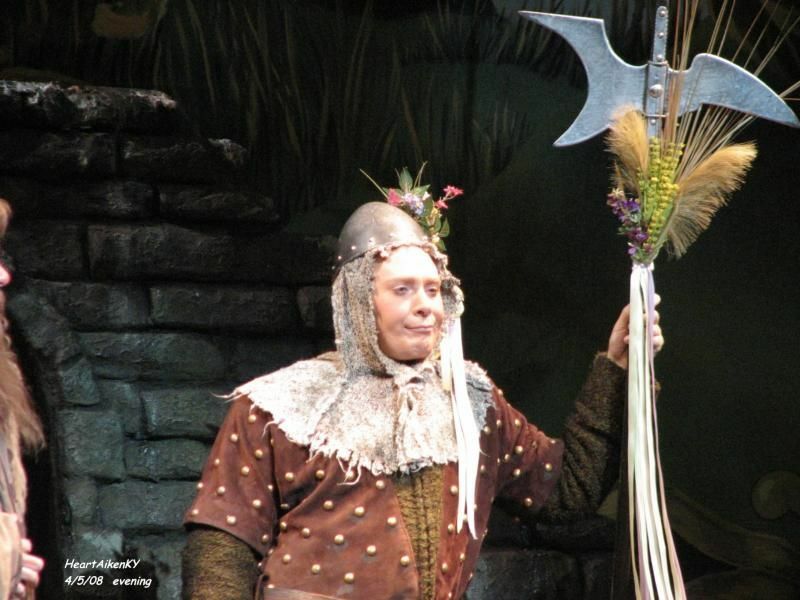 When I was looking at my calendar, I was reminded that Clay Aiken was on Broadway… in Spamalot during November, 2008. 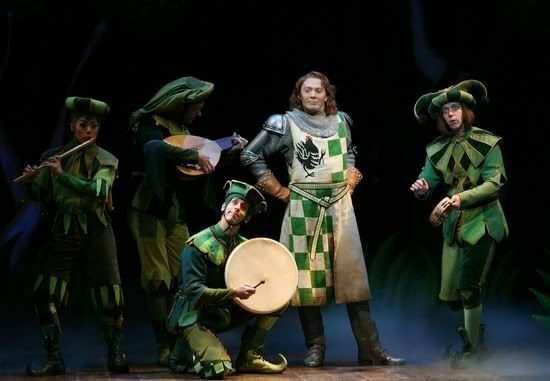 As most of you know, Clay Aiken made his first starring role on Broadway, playing Sir Robin in the quirky musical, Spamalot. Clay’s first run in the show was from January 18 to May 4, 2008. After taking the summer off, Clay returned to the show and played the show from September 19, 2008 to January 4, 2009. Spamalot is the hilarious musical adaptation of the classic 1975 film ‘Monty Python and the Holy Grail’. Eric Idle who was an original Monty Python cast member created the Broadway musical comedy, Spamalot. Spamalot premiered on Broadway in 2005. The show won a Tony Award for best musical in 2005. Spamalot played more than 1400 shows during its run on Broadway before it finally closed its doors to go on tour in January 2009. The following is a list of some of the interesting facts about the show. “Spamalot” uses 40 wireless microphones, consumes more than 2,500 AAA batteries per month, runs more than 1 mile of cable and uses custom-built lasers to aim the speakers in each house. Among the props is a cow that weighs 45 pounds and it takes two stagehands to catapult it over the castle. Spamalot uses approximately 40 coconuts per month, supplied by the Coconut King in Florida. The “Feet of God” weighs 1,700 pounds. It takes more than 80 people on stage and off to run each performance. The Electrics Department uses six tanks of liquid carbon dioxide per week to create the low-ground fog effect and uses eight fire extinguishers per week for the Feet of God “blast off” effect. Six pounds of confetti are used at each performance. There are more than 100 wigs (including facial hair) in the show, all hand-tied and made of human hair, yak hair and synthetics supplied from New York, California and London. The poorest peasants’ costumes in the show are actually made of raw silk. Three feet of “blood” has to be ironed prior to each performance. There are more than 100 undergarments in the show, including 30 pairs of men’s fishnets and 56 codpieces. The Lady of the Lake’s costumes are all comprised of hand-strung glass beads. The costumes are not only made of a wide variety of fabrics, but many are made of molded ABS plastics, and even nuts and bolts. You are as likely to see a costumer with power tools as you are a sewing machine. This reminded me of how wonderful Clay was in Spamalot. I hope we see Clay on Broadway again…”sometime“. 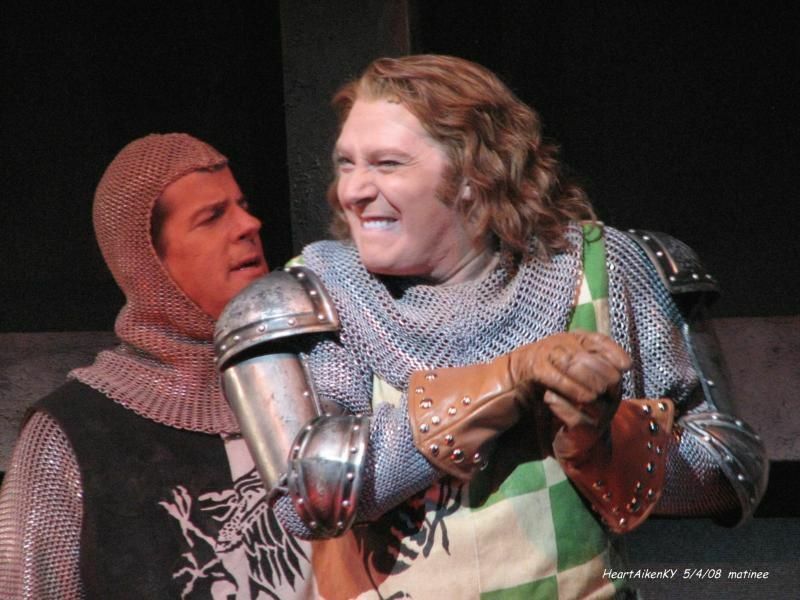 Clay was so wonderful in "Spamalot"! Broadway should swoop him up for another run on a play or musical! Clay can do it all! I do miss him, but your website keeps me in touch with all the Clay memories and current stories! Thank you, musicfan! Love him in this. Seeing Spamalot worked out great. My husband is a Monty Python fan and well, I'm a very big Clay fan! What fun it is to see Clay performing Sir Robin once again. 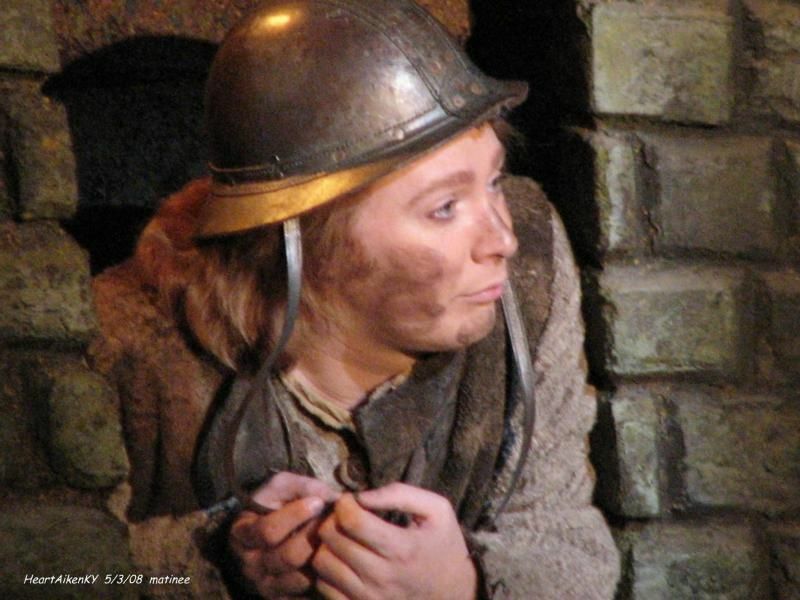 Has it really been 6 years since Clay was in Spamalot!? I do miss any current news of Clay. I'm sure he is up to something that will surprise us all. Error: Error validating access token: Session has expired on Tuesday, 21-Aug-18 16:13:01 PDT. The current time is Thursday, 18-Apr-19 11:20:27 PDT.